Hendrix Genetics firmly believes that being a responsible corporate citizen not only makes good business sense, but it is the right thing to do. As a company, our colleagues are empowered, supported and encouraged to take initiatives in the local communities where they live and work. Being global, we aim to have a positive worldwide impact as we work towards a brighter life tomorrow. Although it may come as a surprise to many, the reality is that 1 in 8 Canadian households struggle to put food on the table. This is especially visible in schools, where children from struggling homes may go to school on an empty stomach. This is tragic in itself, but it also means their learning is impaired, which sets them back even further. Our Canadian colleagues saw this and took action. They partnered with two organizations, Nutrition for Learning and with Food and Friends. 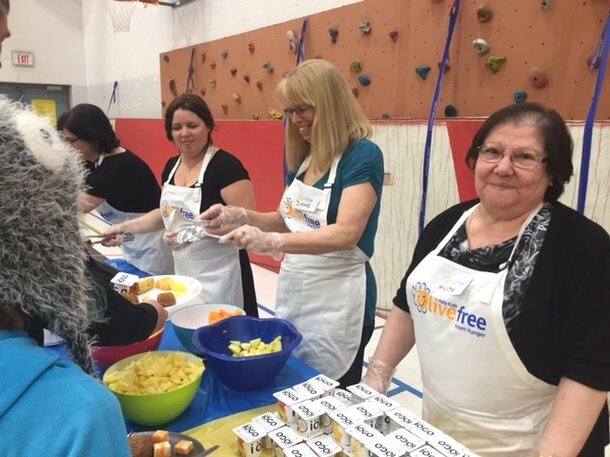 These two groups serve meals in schools in the area where the bulk of our Canadian colleagues live and work. Through voluntary donations that are matched by Hendrix Genetics, thousands are raised every pay period for this worthy cause. Furthermore, our colleagues not only donate, but they volunteer early in the morning at multiple locations serving meals to children as they arrive to school. These actions show that our colleagues take our ideal of Better Breeding Today, Brighter Life Tomorrow to heart. As an agriculture company, we understand that valuable life skills can be learned on the farm. We also acknowledge that it is becoming far less common for younger generations to be exposed to this kind of experience. It is for this reason that we partnered with Pitman and Future Farmers of America in Utah. They run a program using the flocks that we donate, to pass down skills and expose high school students to life lessons that come with farming. 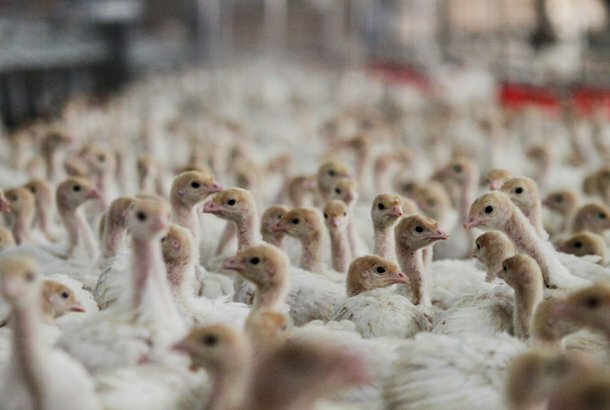 This initiative is also important as it helps to drive the sustainability of the turkey industry by encouraging new generations to consider agriculture as a career. Our operations in Chile are based in the majestic setting of Los Lagos, in the shadow of volcanos and pristine lakes. It is also the unceded territory of the Mapuche people, who have continuously lived on that land for thousands of years. 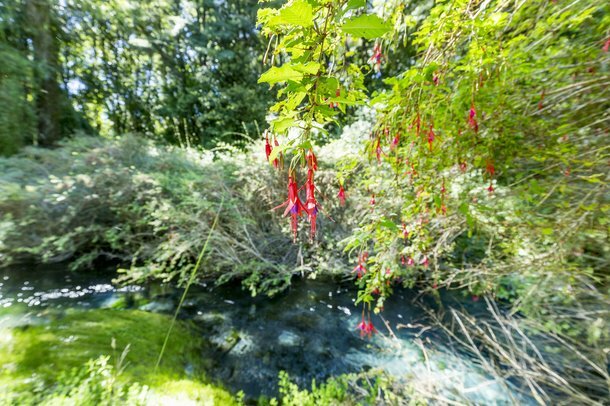 Being in such a unique environment both physically and culturally means our business approach needs to be in harmony with our surroundings. It all starts with our facility, it is state of the art and conservation of resources is at the heart of it. In regards to the work, a culture of respect and diversity is fostered and leverages both the latest research and traditional knowledge to achieve the best results. Furthermore, our Chilean colleagues have worked hard to launch initiatives beyond our walls. Through recycling and clean up programs, they work with schools to encourage youth to care for the local environment. 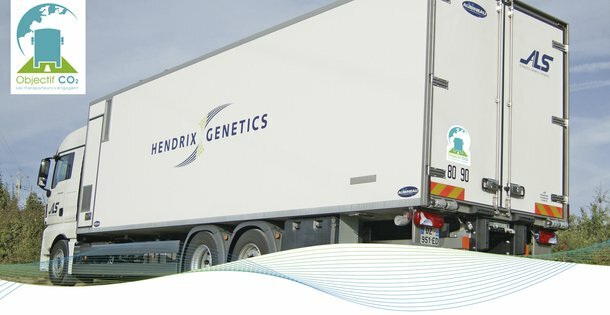 Hendrix Genetics firmly believes that it is important to listen to the needs of others, whether it be customers, employees or members of the community. 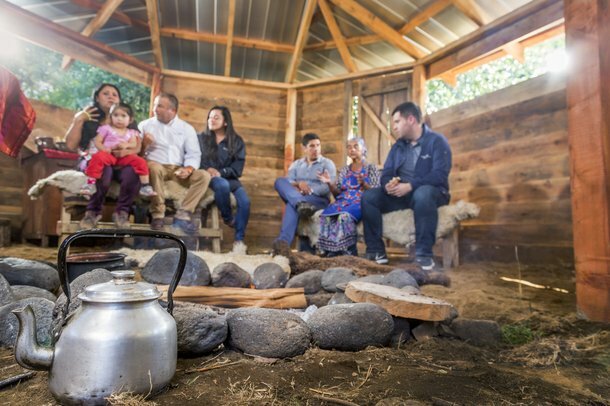 It is for this reason that we regularly have contact with elders of the Mapuche people and contribute resources towards initiatives that strengthen, promote and protect their important traditional culture. At the end of 2017, a partnership was signed with CERSA (Centre d’Excellence Régional sur les Sciences Aviaires) in the Togolese capital of Lomé. CERSA is one of the six agricultural centers of excellence in Africa. We supplied one-day old layer chicks from three different genetic lines for research as well as made a financial contribution to advance the poultry industry throughout the continent. 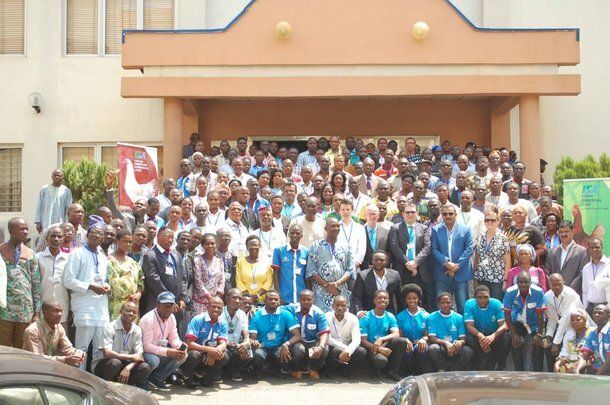 Since February of this year, the project has been successfully running in new facilities built at the University of Lomé. The team includes one professor, a post-doc, PhD students, Master students and laboratory technicians. Their work will advance the layer industry in Africa and will help set the foundation for productive and efficient egg production to meet the growing demand for affordable protein. As Africa is the fastest growing and youngest continent in the world, this work is more important than ever. 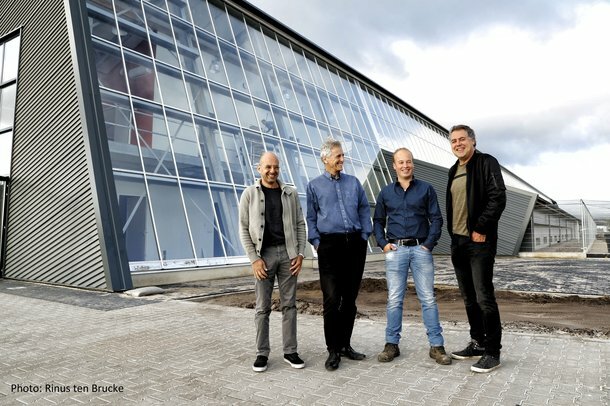 The Kipster farm concept was brought to life by Dutch entrepreneurs combining expertise in poultry, sustainability, farming, and communication. The farm design took four years to develop. Numerous parties like animal welfare groups and sustainability organizations were involved in the design phase. The final result is a future-proof, flexible and scalable layer farm concept. The Kipster layer farm is built around the natural behavior of the laying hens. The farm roof carries 1,100 solar panels to generate a positive energy balance. Fuel emissions are limited to an absolute minimum by using energy systems that are novel in agriculture. Newly developed feed is made from surplus foodstuffs to minimize the environmental impact and reduce food waste. Furthermore, Kipster welcomes visitors and aims to be a center for education and information. As Hendrix Genetics we are proud to be the exclusive partner in supplying hens to this project. After carrying out an initial CO₂ diagnosis, ALS (our trucking division) joined the French national voluntary program ‘Objectif CO₂’. The overall 3-year target is set at a 5% reduction, to lower emissions by approximately 250 tons. That is the carbon equivalent to almost 1 million kilometers driven by a passenger car or taking 53 cars off the road every year. Our commitment to fighting climate change extends beyond full efficient vehicles. We ensure our drivers consciously drive efficiently, logistical routes are designed to preserve fuel and equipment is maintained to run as green as possible. As a company, we are committed to doing our part to always work to find ways to reduce our impact on the environment.